Add a graceful touch to your traditional persona by adorning this red colored classic design necklace set from Anuradha Art Jewellery. It is embedded with shimmering white & red colored stones and crafted from golden polished metal. 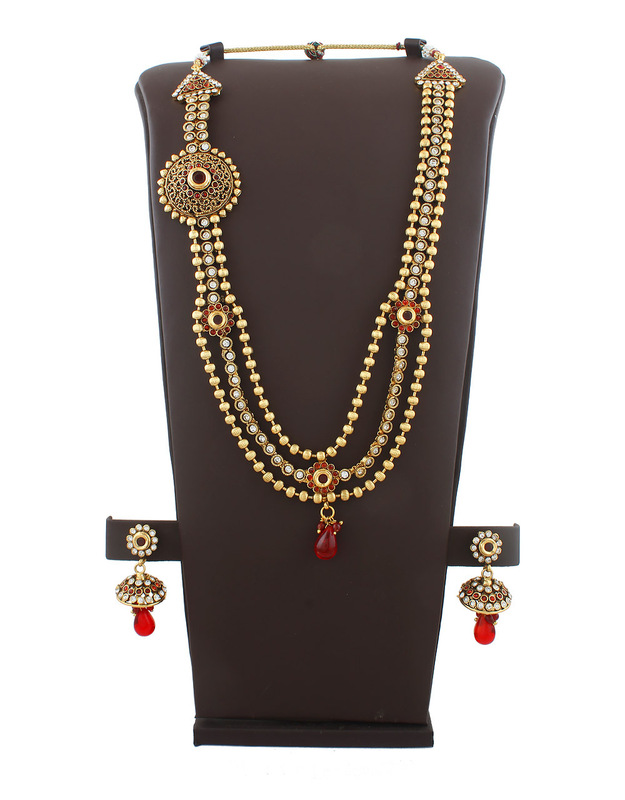 This chain pattern necklace set is high in quality & will be your fashion companion for many years.